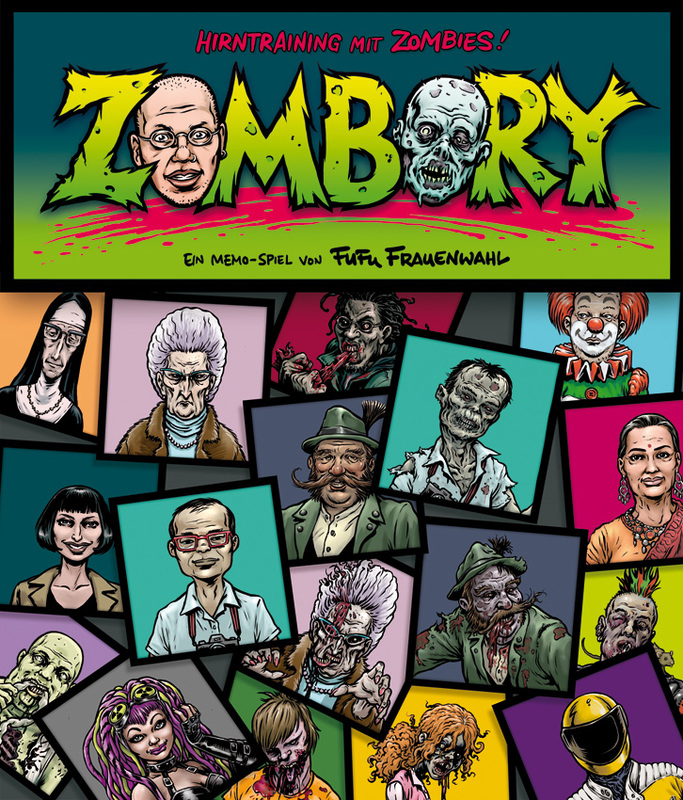 Shop / games / ZOMBORY – Train Your Brain with Zombies! ZOMBORY – Train Your Brain with Zombies! 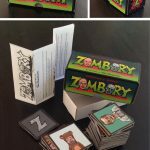 A card game about the Zombie apocalypse for 2 to 4 players. It contains 60 cards and a rules leaflet in German. English rules can be provided if requested. Category: games. Tags: card game, zombie, zombies. 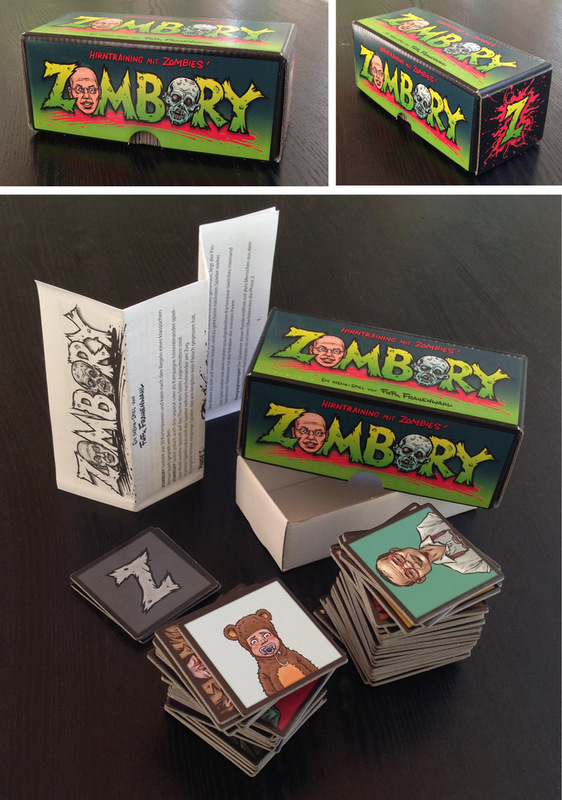 The game includes 30 pairs of cards, each consisting of a human and his or her zombie version. It can be played just like a classic memorizing game, but it also features three unique game modes, which are easy to learn and simulate different scenarios that can occur in a zombie apocalypse. These modes can be played seperately or in succession in a campaign.